Chlorinated cleanser with a soft abrasive scours and cleans stainless steel and porcelain surfaces without scratching. Clings to vertical and hard-to-reach surfaces, like toilet bowls. Effective at removing malodors from surfaces. Bottle has a portion control, flip-seal closure. Stock up and Save! Application: Multiple Surfaces; Applicable Material: Ceramic; Fiberglass; Plastic; Porcelain; Stainless Steel; Tile; Chrome; Chemical Compound: Chlorinol; Dirt Types: Germicidal; Salmonella; Soap Scum; Staph. 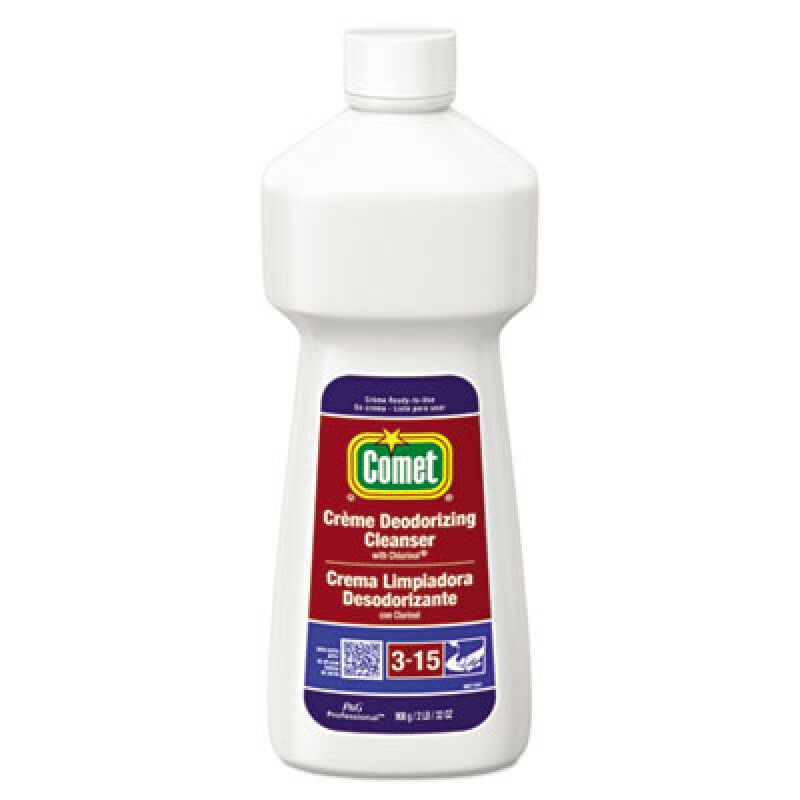 This is a review for the Comet Creme Deodorizing Cleanser Lightly Scented.